That’s Intriguing #89: Wrong Business Name = Failure. Right Business Name = Financial Box Office. Years ago, insurance giant AFLAC had a problem. Their company name was nonsensical. No one knew what it meant. And why would customers entrust their money to a company when they didn’t understand their name? So, their ad agency (brilliantly) asked themselves how they could take this unfamiliar name and relate it to something familiar so it all-of-a-sudden made sense? They asked themselves, “What does an ‘AFLAC’ look like or sound like in the real world? How can we associate it with something people already know and like? Hmmm … well, an AFLAC kind of looks and sounds like a duck saying QUACK. They created a visual icon that turned their idea into an image people could SEE. Another insurance company had a similar challenge. Instead of just offering policies to federal employees, it was now going to offer policies to anyone and everyone who could afford to pay for one. So, how did they masterfully manage their transition and make their clunky acronym G.E.I.C.O meaningful and memorable? Well, what do we think of when we hear the word GEICO? What comes to mind that is close to it? How about a cute little gecko? GEICO’s cute green gecko has starred in countless commercials and become an instantly recognizable corporate symbol to millions. Both of these financial services firms succeeded in making their cold, confusing names … warm and relatable. Both AFLAC and GEICO dramatically increased their market-share and profits; thanks to their ubiquitous “spokes-animal” ad campaigns that helped them POP! out of their crowded industry. So, what’s this mean for you and your business, idea or product? Your financial success depends – to a large degree – on the “get-ability” of your name. When prospective customers hear or see your name for the first time; what’s their reaction? Do their eyebrows crunch up? That means they don’t get it. And if they don’t get it – you won’t get their attention, respect or money because confused people don’t say yes and they don’t remember you or want to do business with you. Why should they? They have no idea what you do. They can’t relate to you. Your goal is to have a name for your business or product that makes people’s eyebrows go UP. That means they’re intrigued. That means they want to know more, which means they’re more likely to remember you and want to try and buy what you’re offering. This Wall Street Journal article – What’s In a Name? – offers fascinating examples and insights into the financial consequences of the RIGHT or WRONG name. Would you have gone to see a movie entitled $3000? That was the original name of Pretty Woman. Would you have paid $8 to go see Anhedonia (the original name for Annie Hall)? Check out this article to find out why some of your favorite movies might have failed if they had stuck with boring names that bombed with focus groups. Well, check out POP! Its 25 different techniques can help you create clear, compelling names, titles and slogans that will resonate with your customers and decision-makers. Have your pen handy so you can do the exercises to coin just the RIGHT name that will help your product, idea or business get noticed, remembered and bought. Encountered a couple of early entries for the 2012 POP! Hall of Fame … and thought I’d share them to kick-start your thinking about what newly-coined NURDS (New Words) you’d like to submit for this year’s contest. * Diabesity: Dr. Francine Kaufman’s term for the epidemic of Type 2 Diabetes that is triggered by obesity. * Snuba: It’s half snorkel and half scuba … and it’s a new multi-million dollar industry. * Freakonomincs: Are you going to run right out and buy the latest tome on economics? Probably not. But authors Dubner and Levy turned their concept into an international brand – movies, media appearances, blogs, 6-figure consulting contracts – by giving it a first-of-its-kind name that appealed to the masses. * A.W. Shucks: What else would you call an oyster bar in Charleston, SC? * Yappy Hour: The Holiday Inn in Alexandria, VA has received millions of dollars of free press due to its innovative Friday night “petworking” opportunities for dogs. * SerenDestiny®: Okay, I admit it, I’m partial to this one because it’s the title of my next book. And like Tongue Fu!®, I’ve been able to trademark SerenDestiny® which means it can be merchandised and monetized … in perpetuity. * Java Jacket: You can’t build a business around an un-prounounceable name. So Jay Sorenson gave those “cardboard insulating sleeves” you put around your cup of coffee an easy-to-say-and-remember name. * Revenew: Just met the founder of this start-up in NYC at the WOIS Summit. You’ve heard of Spell Check? This is a fantastic example of a POP! technique called Spell Chuck. Chuck the normal spelling of a word and come up with your own. Brilliant. 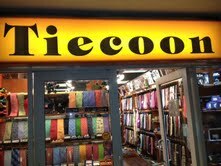 *Tiecoon: This shop in NYC’s Penn Station – which sells neckties to Wall Street financiers – stopped me in my tracks and motivated me to snap a photo. Which is the point. If it’d been named Jack’s ties, I would have walked on by and not even noticed it. Does your store name have people at hello? Please understand … NURDS aren’t petty; they’re profitable. This is not wordplay…this is wordcash. ALL of these names have helped their products, businesses or services STAND OUT and get noticed, remembered … and rich. Several of these names have generated millions in revenue for their owners. So, what first-of-its-kind business, book, product, store names have you seen this year? What intriguing NURD popped out and got your attention? Submit your entry by email to Sam@IntrigueAgency.com for the 2012 POP! Hall of Fame contest … and send a photo if you’d like. We’ll post the best NURDS 0n our blog and on our Facebook page. Winning entries who make the final Top 10 Winners in the 2012 POP! Hall of Fame get a free copy of POP! … or your choice of any of our books. What’s a situation coming up in which you want to influence someone to give you their time, mind or dime? If you want to capture and keep their attention – if you want to open their mind and change their mind – don’t open with information. I had the privilege of meeting Dr. Brene’ Brown at a recent Leadership Colloquium at NASA Goddard. Brene’s TED talk on The Power of Vulnerability is one of the top ten most-downloaded TED videos. After the first 10 minutes of her NASA presentation, it’s easy to understand why. She’s disarmingly honest about her journey from being a left-brained researcher who only valued bottom-line facts to discovering the transcendent, whole-hearted, free-flowing love that comes from having children. What she didn’t anticipate was the fear that comes from being a mom. She described how she used to stand in her kids’ rooms at night and watch them sleep … and weep. She cherished them so much, she was afraid something would happen to them. She knew this was illogical. They were perfectly healthy, perfectly fine. Yet there she was … miserable. She started researching why the emotion of happiness seems to be irrevocably tied with fear – and used an EXAMPLE to open our eyes to how common this phenomenon is. A family is driving to their grandparents’s house for Christmas. The parents are uptight because they’re running late. The kids, sitting in the back seat, start singing Jingle Bells . The parents realize how ridiculous they’re being and start singing Jingle Bells along with them. Guess what the majority said?? Is that what you thought? It means, deep down, you believe happiness is fleeting – you believe it is too good to be true. How about you? In the midst of things going well, are you, at some level, waiting for the other shoe to drop? Brene’ went on to explain that, in an effort to protect ourselves against the pain we feel when something goes wrong … we prepare ourselves by projecting it so we won’t be blindsided when the heartache happens. Not only does that cut short any joy we might be feeling, that “failure forecasting” increases the likelihood of something going wrong because that’s what we’re focused on. Then, if something does go wrong, it reinforces our worst fears and proves us “right.” This sets up an emotionally unhealthy spiral where we have even more cause to worry. Brene’ continued with constructive ways to change this destructive default … if we choose. Look back over this post. Were you engaged? Were you thinking about that insight that some people are afraid of happiness – and thinking how it relates to you? That’s because Brene’s EXAMPLE pulled you in and helped you SEE this situation. If Brene (or I) had just talked about how some of us are waiting for the other shoe to drop – even when things are going well – that would have been wah-wah rhetoric. You may not have related to it because it was information. People today are suffering from InfoBesity. They don’t want more information. They can get all the information they want – anytime they want – online for the click of a button. People want to be intrigued. And one of the best ways to intrigue people is with EXAMPLES – not information. Back to your upcoming situation where you’ll be trying to persuade someone to give you their valuable time, attention, respect, business, account or funding. Don’t start with information. Start with a real-life example that helps them SEE what you’re saying so they’re experiencing it – not just hearing it. Well, if Andy was right, we better take responsibility for making ourselves more interesting so people want to hear what we have to say. I host a monthly That’s Intriguing Interview Series that features guest experts from around the world (i.e., Betsy Myers who was COO of Obama’s grassroots presidential campaign and Michael Gelb, International Brain of the Year and author of How to Think Like Leonardo da Vinci). People often tell me our tele-seminars are the ONLY ones they listen to from start to finish. Several clients asked me to “share my secret;” so here’s the document we send our guest experts to prep them to be so intriguing … listeners are on the edge of their seats, eager to hear what’s next. You’re welcome to use these guidelines when you are the one being interviewed or when you’re the one hosting the intervivew/panel. These suggestions help everyone hold themselves accountable for sharing real-life insights and examples that get people’s eyebrows up and motivate them to want to hear more. 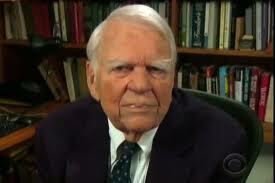 Thanks for agreeing to be a guest expert for our That’s Intriguing Interview Series on _________, 2012. We are looking forward to you sharing your back-story and best-practice tips with our audience. We feel a real obligation to live up to our name – so here are some guidelines that can help us produce an engaging, insightful, productive interview that adds value for all involved. 1. Our tele-seminar starts promptly at 8 pm ET (5 pm West Coast Time). 5 minutes before our call … at 7:55 pm ET …please call our bridge line _____. Then enter our code ____. 2. We put everyone on the call (except YOU) on mute and don’t take questions during the call so background noise doesn’t undermine the quality of our recording. * Please keep answers short – 2 minutes or less. * Give a real-life example to illustrate each point which makes information infinitely more intriguing. When making a point, you might want to use the 2 magic words, “For example …” and then verbally re-live the scene where this happened to SHOW us what you mean so we’re seeing what you’re saying. * Humor is always wonderful and welcome. If you have amusing, laugh-out-loud anecdotes or quotes to share that are “on topic,” by all means, share them. As you know, relevant humor makes this more fun and enjoyable for everyone involved. Please cherry-pick the MOST surprising or startling things that have happened along the way. We don’t need soup-to-nuts explanations of all your lessons-learned. It’s far more interesting for you to focus on the ONE INSIGHT that was most pivotal, most transformative so we can hear a “best of the best” of your expertise or experience. * This is not about self-promotion. In the last 5 minutes, we focus on an exciting project you’ve got coming up you’d like listeners to know about. This could be a new book, public event, coaching series, conference, startup, product launch, etc. You are welcome to describe this and give your website, blog or social media contacts so listeners can find more information, register, buy a product or service, support your cause, hire you, etc. 4. You are welcome to send questions in advance you’d like to be asked. WE love receiving questions that helps us showcase your work or this topic in a way that does it justice and reveals behind-the-scenes, recent, “wouldn’t have known that” insights. 5. I normally ask questions in a chronological sequence – starting with your early career and taking listeners through the evolutionary unfolding of your work – the epiphanies you’ve had along the way and the insights you’d like to pass along. Ask yourself, “Is this obvious? A cliche or common sense? Do people already know it?” If so, SKIP IT. 6. Our audience is usually an eclectic mix of executives, entrepreneurs, speakers, authors, non-profit leaders, consultants and creative professionals from around the country. We may have up to 100 people on the LIVE call; hundreds or thousands may listen to the recording in the years ahead. 7. We market your interview to our database of 15,000+ through our newsletter, on our website calendar and to our extensive online network via Twitter, LinkedIn and Facebook. 8. 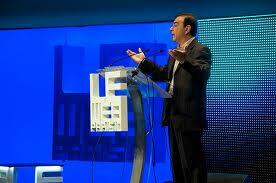 We will record the interview -and send you the MP3 within 3 days of the tele-seminar. As part of our agreement, you are welcome to use that however you’d like – whether that’s selling it as a CD or MP3, excerpting it in podcasts on your website, or using as an audio demo for media. We are so glad you carved time out of your busy schedule to be on our That’s Intriguing Interview Series. We look forward to a win-win, rock and roll interview that showcases your contributions and delivers real-life recommendations people can use immediately. We know everyone will appreciate your fascinating examples of how you’ve built a SerenDestiny career where the light is on in your eyes and you’re doing meaningful legacy work that is serving all involved. That’s Intriguing #68: Want to Close that Deal and Land That Contract? I’m here in Hollywood speaking for EO Alchemy, along with Biz Stone (founder of Twitter), Magic Johnson (basketball player extraordinaire), Simon Sinek (Start with Why) and a couple hundred of the best entrepreneurs in the country. e of abandoning outdated defaults that are undermining our ability to win buy-in – and adopting updated designs that intrigue and impress decision-makers. The focus of this hands-on workshop is how to pleasantly surprise busy, jaded decision-makers with approaches they haven’t heard before – approaches that quickly communicate a convincing competitive edge that get their eyebrows up and smart-phones down. I promised several EO members that I’d post an article that will help them walk in with confidence for important presentations they’ve got coming up next week. So, I know I should break up this article into several shorter posts – however for their convenience I’m keeping these 5 tips together in one post. So, pardon the l-o-n-g article . . . hope you find it intriguing and are able to use these techniques to deliver a winning presentation on behalf of your cause, company, idea, invention, program or project. Here are 5 ways to walk into any room with FLAIR and command the attention and respect of everyone in the room. Sound familiar? Many people are so tight and tense during their presentation; it’s almost painful to watch. Likability is not trivial – it plays a pivotal role in whether people listen to you. Fun is a sign of confidence. It shows you’re comfortable in your own skin and can be counted on to wield authority without getting weird. In fact, your ability to enjoy yourself in front of a group is a sign you won’t panic under pressure or “choke” as a project manager or leader. In the Vancouver Olympics, #1 ranked snowboarder Shaun White was in danger of being eliminated from the games after having a lousy first round. He and his coach actually went into the back-country for some “goof off time.” Some of his competitors thought he was taking a huge risk, but Shawn knew he’d lost himself in the pressure and the only way he was going to win was to “find himself by having fun.” His strategy paid off with a gold medal. Yes, asking for 5, 6 or 7 figures for your venture, non-profit or idea is “serious business;” but don’t make it SO serious you lack personality or passion. Stand in the wings beforehand and put a HEARTFELT SMILE on your face which increases likability. Instead of filling your mind with doubts and fears which feed nervousness, “(What if I forget what I’m going to say? What if someone asks me something I don’t know?”) . . . This prompted a quest to figure out what was going on. Her research revealed that “stress is the new ‘obesity.’” It’s reached epidemic proportions, is compromising people’s health and is costing companies billions. See, that’s the problem. That sentence describes what her business does – but we still don’t get it. And if we don’t get it, SHE won’t get it. That’s where LINKING comes in. Linking your idea to something your decision-makers already like provides a shortcut to comprehension. A metaphor comparing your unfamiliar idea to something with which they’re already fond and familiar fast-forwards understanding. Jan knows this and excels at it. What’s her “link to what they like” elevator intro? Are you proposing a program, product or venture? What is it LIKE? Paralell what you’re proposing to a proven entity to turn people’s confusion into clarity. And memorability is crucial to winning enduring buy-in to your message so you won’t be forgotten the second you leave the stage. When I spoke at the Springboard Enterprises Boot-Camp at Microsoft’s Boston location, each of the 21 entrepreneurs (selected from more than 100 applicants) started with a 2 minute bio presentation. 45 minutes later, here’s what I told the group at the end of everyone’s bio presentations. They realized that unless they did something special with THEIR bio and presentation, the business they’d invested their head, heart, soul and bank account in . . . may not even register , much less be remembered by, future investors who’ve heard thousands of pitches. Think about it. These were 2 minute pitches. Many pitch forums feature twenty or thirty 10 minute presentations, back to back. Imagine sitting through 8+ hours of pitches. At the end of a l-o-n-g day, pitches start to blend together. It’s hard to remember who was who. Unless you do something special to stand out, you’ll be out of sight, out of mind. That’s why it’s essential to give your audience hooks on which to hang a memory. If you care about your message, it’s YOUR responsibility to communicate it so crisply and confidently, YOU’RE THE ONE they remember . . . YOU’RE the one they respect . . . YOU’RE the one they want to talk to at the end of the day. Alliteration helps you POP! out of the pack. Look at your program or product description, web copy and business name/slogan. Are you using alliteration, i.e., Rolls Royce. Dunkin Donuts. Java Jacket. Merlin Mobility? If so, good for you. If not, rework your important sentences so they have words that start with the same sound. It will make your language more lyrical so you’ll be top of mind (vs. out-of-sight, out-of-mind) at the end of a long day. I’ll never forget it. I was speaking a high-profile, national conference and this was the opening session featuring several big gun keynoters. Seth Godin. Tom Peters. Jim Collins. Tim Ferris. They were all there. Everyone was on the edge of their seats, listening to every word. A female CEO of a billion dollar company was introduced next. She walked to the center of the stage, stood with her feet together, and crossed her hands in the . . . Fig Leaf Position. Yikes. Standing with her feet together made her appear off-balance, like she was teetering. Plus, holding your hands in the Fig leaf Position is a defensive posture that makes you look like you have something to hide. It pulls your head and shoulders down and collapses your body which creates a Cower stance that makes you look submissive. This female executive’s first words, “I was telling my grand-daughters yesterday . . .”were said in a querulous voice with upward inflection. Within seconds, the digital devices came out and people started texting. Which was a shame because this CEO is a respected leader who’s done an excellent job running her company. Whether it’s fair or not, people form their first impression by how you hold yourself, by the volume and tone of your voice, and by your opening words. A meek or weak voice sends the message you have trouble speaking up for yourself – you don’t believe you deserve to be heard. Those are red flags to anyone deciding whether to hire you, promote you, fund you or give you their valuable mind and time. Plus, ending sentences with upward inflection and speaking in a sing-songy “Valley-Girl” voice makes you seem unsure, hesitant, like you’re seeking approval. A coquettish, “I hope you like me” voice will undermine the perception you have the clout to lead a company, carry off a multi-million dollar venture, or manage hundreds of employees. Instead, do what TV broadcasters are taught to do their first day on the job. End your sentences with downward inflection to project a voice of authority. Say, “$500,000″ with upward inflection at the end. Hear how it sounds tentative? Like you tossing it out there and HOPING they say yes? Now say, “$500,000″ with downward inflection at the end. Hear how it comes across with more certainty? Like this is a justifiable figure you deserve to get? When presenting, don’t use a casual, conversational tone. It’s tough to hear and doesn’t connote authority. PROJECT so every single person in the room can hear every single word. Never, ever force an audience member to have to sat, “Speak up . . . I can’t hear you.” The truth is, if people have a hard time hearing you, they usually won’t ask you to speak louder . . . they’ll just give up and tune out. Want another way to exude an executive presence? Get OUT OF YOUR HEAD AND INTO YOUR BODY. When you’re introduced, stride to the center of the stage, plant your feet shoulder width apart and bend your knees slightly so you feel and appear grounded. This balanced, athletic stance helps you feel in your body (vs. in your head) – and helps you stay “rooted” in one spot so you’re less likely to rock or pace back and forth. Nervous movement patterns distract from your credibility because they give the impression you’re flighty and can’t or won’t hold your ground. Now, instead of assuming the “fig leaf position,” hold your hands out in front of you like you’re holding a basketball. This opens you to your audience and frees your hands to make organic, natural gestures that illustrate what you’re saying. Furthermore, this Basketball Position helps you straighten up and stand tall. Pull your shoulders back and instead of ducking your head, hold your head high. Aaahh . . . that’s better. Feel how this TOWER stance makes you look and feel like an athlete which contributes to (vs. compromises) your confidence? Now you look like a leader. Many people have seen hundreds, if not thousands, of presentations. After awhile, speakers start to sound alike. To POP! out of the pack, you’ve got to craft intriguing content that will get noticed and remembered. One way to do that is to use R = Rhythm. Duke was right. When you put things in a beat; you make them easy to repeat. Chances are, you haven’t heard those jingles for years: yet you can still repeat them, word for word, in the same cadence you first heard them. That is an advertiser’s dream. When I prep clients for their presentations or media interviews, one of our priorities is to produce a proprietary “phrase that pays” that showcases their strongest selling point. We work on saying it clearly and distinctly so anyone can repeat it, word for word, after hearing it once. One way to do that is to pause and punch. When nervous, or when trying to jam a lot of material into a short amount of time, many speakers blush and rush. They jumble their words together. The consequence is people don’t “get” your name or your important points – which means they won’t be able to repeat them a minute, hour or week later – which means you and your message had no enduring impact. Not good. Put a pause between your first and last name (i.e., Sam – Horn) or before an important statistic – has spoken to more than a . . . half million people . . . around the world . . . . so each word is distinct . . . and will be imprinted. E – nun – ci – ate each syllable of your business name – and put a 3 beat pause between crucial words in a quote, slogan or elevator intro – to make sure people get it the first time. For example, In — trigue . . . In – sti – tute. Two monologues . . . don’t make a . . . dialogue. I help . . . entrepreneurs . . . executives . . . and organizations . . . create more compelling communications. This may sound petty or like I’m making a big deal out of nothing. However, if people can’t repeat your name or elevator intro, they didn’t get your name and elevator intro. . . which means you may not get their business. Another way to have confidence you and your message are going to get remembered is to use R = Rhyme, Ryhme is sublime because it gets you remembered over time. Hmmm. Are you motivated to just run out and fasten your seat belt? No one seemed to care and no one was inspired to change their behavior. This time, they put their slogan in a rhyme that had a distinctive beat. I bet you know what I’m talking about. Yep, Clickit or Ticket. Not only did that catchy phrase that pays catch on, it’s motivated people to buckle up and, as a result, the number of injuries and fatalities has decreased. All this goes to prove that phrasing isn’t petty. You can spend hours and thousands of dollars on fancy power point slides, bar charts and graphics. But if you blush and rush through your material and your audience doesn’t understand or can’t remember anything you said – it will all be for naught. If you want to close that deal or land that contract – remember these 5 elements when designing and delivering your communication. L = Link. Compare what you do to something with which they’re fond and familiar so the light goes on in their eyes and they “get” it. A = Alliteration. It’s working for Java Jacket and Dunkin Donuts. Why not for you? I = Inflection and In Your Body Posture. Tower (vs. cower) and speak with downward inflection so you have the look and voice of authority. R = Rhythm and Rhyme. Craft a easy-to-repeat “phrase that pays” so you’re the one they relate to, you’re the one they remember, you’re the one they want to work with. Want more ways to communicate confidently and compellingly so you close that deal and land that contract? Check out my book POP! – which has been featured on MSNBC , BusinessWeek.com, FastCompany.com and in the New York Times and Washington Post. Its 25 innovative techniques can help you create one-of-a-kind communication that intrigues and favorably impresses everyone in the room. Or contact us at Sam@SamHorn.com to arrange for Sam to speak at your next marketing conference – or to explore how you could work together to make your next presentation a win for everyone involved. That’s Intriguing #29: Why Is it Important to Build an Umbrella Brand? Are you a Jack of all topics – master of none? When people look at your website and marketing material, are they confused by all the different things you offer? Do you feel like your business and career are all over the map? Do you find it hard to, as speaker Joe Calloway says, “pick a lane”? A lot of us are bewildered by what our speciality is. And if WE’RE bewildered, our potential clients will be bewildered. Ambiguity produces apathy. Confused customers will be reluctant to hire us because they’re not sure what we do and whether it will worth their valuable time and money to work work us. Here’s a proprietary process I’ve developed to help my clients get clear about how they can POP! out of their pack by being one-of-a-kind vs. one-of-many. Once we clarify their USP (Unique Strategic Positioning); we create an umbrella brand to connect all their business activities so they generate maximum pay-off for their efforts. What problems are your target customers facing? Picture one of them in bed at night and s/he can’t sleep because s/he is worrying about . . . . what? What is this person’s name? Put me in his/her head. Are they single? Married? How old? Kids? How many people does s/he manage? What is s/he frustrated about? What can’t s/he figure out? Now put “quotes” around those concerns so you’re voicing their Zeitgeist and articulating the probelms that are bothering your target customer. Now, what’s your premise about those problems? It doesn’t have to be that way. There’s a better way. More effective way. More profitable way. Safer, quicker way. Less stressful way. And I’ve got the way. Here’s my 10 step process to alleviate those problems. Here’s my half-day program on how to prevent those problems. Here’s my book and audio products on how to turn-around those problems. And here’s my promise to you. I will not waste your valuable time on ivory tower theories that don’t work in the real world. I will not rehash ideas you’ve heard 100 times before. You can trust me to do . . . . what? Dig deep and pull up your passionate purpose reagarding what your target customers can count on you to do. State where you’re coming from in a heartfelt way so customers know what you stand for – and what you won’t stand for. Here’s my positioning. Think about your competitors. What do they do you don’t like? How do you zig where they zag? What’s the norm in your industry? How can you be the opposite vs. the obvious? (Enterprise Rent-A-Car did this masterfully by locating in neighborhoods instead of at airports). Once you figure out your 5 P’s, the next step is to create a clear, current, compelling, congruent, commercially-viable message and mission that you roll out through a variety of coordinated formats so everything supports each other and scales your visibility, impact and results in record time. Subscribe to this blog to receive my next post where I’ll explain how to crystallize a 5 C Message and Mission which is the next step to building an umbrella brand that helps you break out vs. blend in.